Praised by American author H.P. Lovecraft as one of the finest Supernatural tales in English literature, Algernon Blackwood's story of two friends on a canoe trip is a Gothic and 'weird fiction' classic. In The Willows we find two friends traveling down the Danube River. 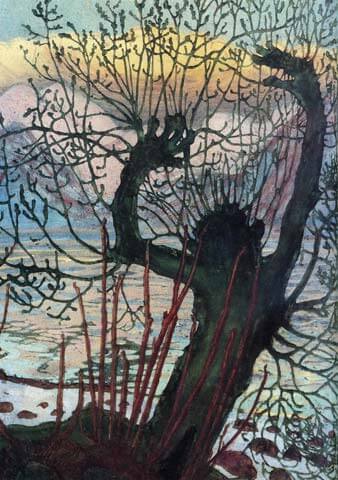 Blackwood uses personification to bring the setting and its various elements to life, including the river, sun, wind and the willows. Over the course of several days the men experience a series of unsettling phenomenon and supernatural occurrences. This great tale is a favorite of Gothic Literature fans. Readers who enjoy this novella should also consider reading Arthur Machen's novella The Great God Pan.